If you’re at a loss for wedding anniversary gift ideas, the world of gemstones offers infinite inspiration and meaning. Use this wedding anniversary gemstone list to find the perfect gift for every year of the first 10 years of your marriage. Giving a bejeweled wedding anniversary gift is a storied tradition. The gems used to mark the anniversaries have changed with the passage of time, but the sentiment behind the gift remains the same: they are a way of expressing your love and commitment. There is no single authoritative wedding anniversary gemstone list. However, based on similar lists that we’ve found, we’ve made some selections for wedding anniversary gems to help you find that perfect jewelry gift for your loved one. Gold – the metal – is the traditional recommendation for the first wedding anniversary. 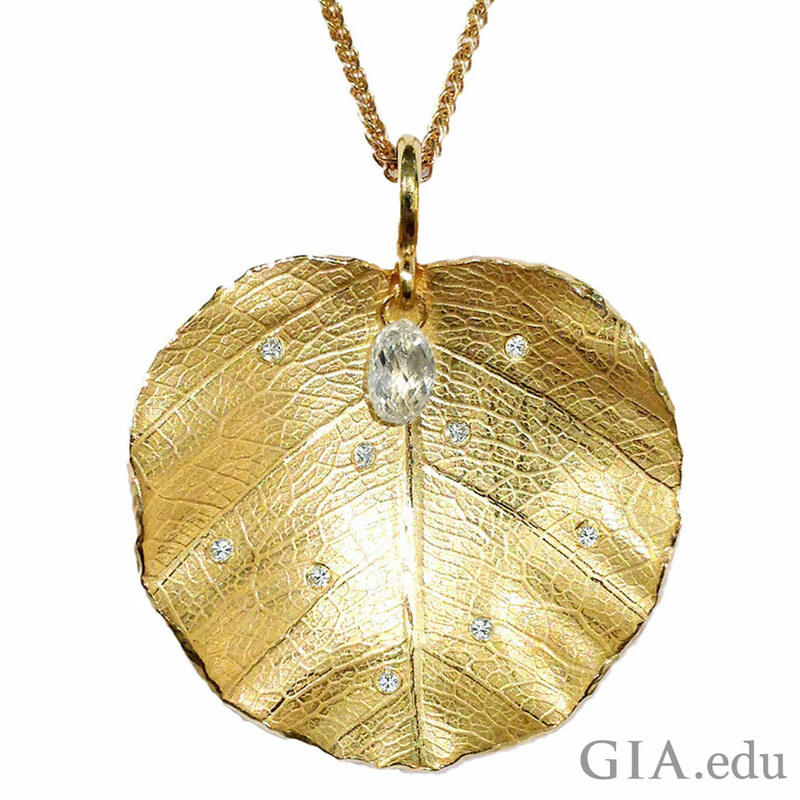 But there are many beautiful, gold-colored gemstones that can also symbolize the golden glow of your first year together. These include citrine, yellow topaz, golden South Sea cultured pearls, yellow sapphire, amber, zircon and even two garnet species: grossularite and spessartine. Garnets attracted the pharaohs of Egypt and the czars of Russia, and Peter Carl Fabergé used them in some of his famous bejeweled Easter eggs. 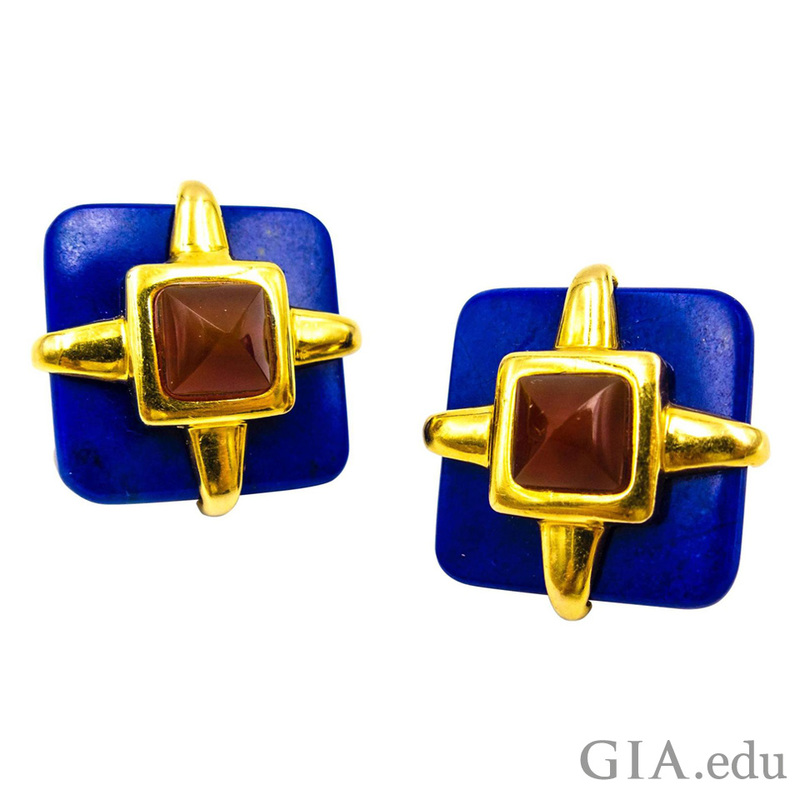 This gem is also the January birthstone, and though many think of garnet as red, garnets come in a range of colors, so there is one sure to thrill your spouse. Garnets are mined all over the world, and the gem is popular in all types of jewelry. If you happen to be on the hunt for antique jewelry, keep your eyes open for pyrope garnet: this Antique Pyrope Hairpin is a great example of a medium to dark reddish orange garnet that was mined in Bohemia from around 1500 to the late 1800s. Before you shop for garnets, be sure to read our Garnet Buying Guide to help you understand important quality factors. An array of cultured pearls measuring between 9 mm and 23 mm. From left to right: Mastoloni baroque cultured pearl; small fancy pink and peach off-round freshwater cultured pearls; round white Australian cultured pearls; black Tahitian cultured black pearls. Photo: Robert Weldon/GIA. Pearl jewelry is essential to any wardrobe and is perfect for celebrating a 3rd wedding anniversary. This beautiful gem comes in an array of styles: classic strands, elegant earrings, funky rings and dramatic necklaces. 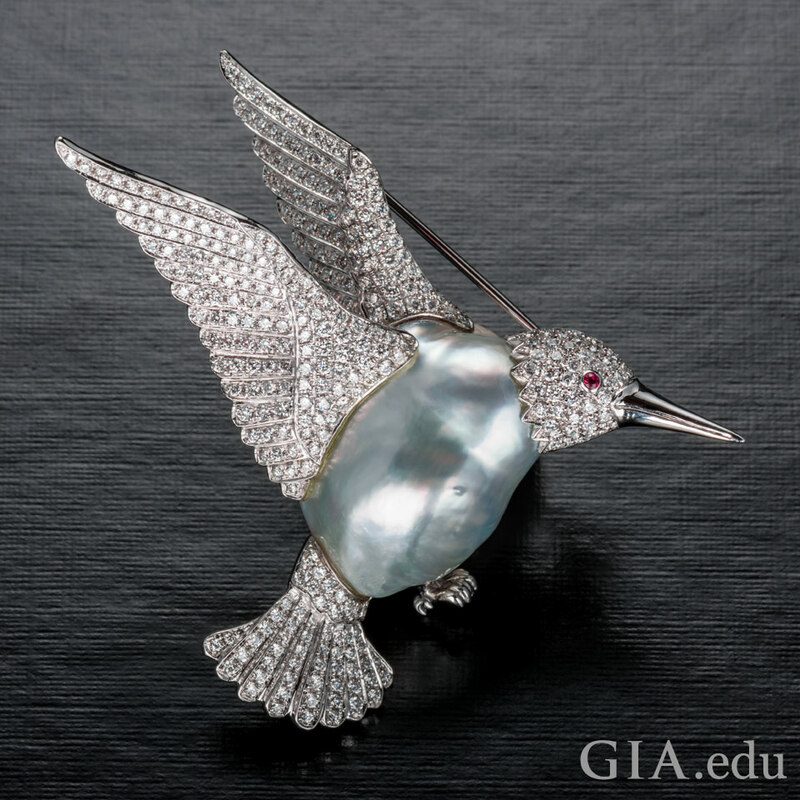 One of the most famous natural pearls is La Peregrina, a natural pearl about the size of a pigeon’s egg. It belonged to King Ferdinand V of Castile (1452-1516), King Philip II of Spain (1527-1598) who gave it to his wife Queen Mary I (1516-1558) and Dame Elizabeth Taylor (1921-2011). 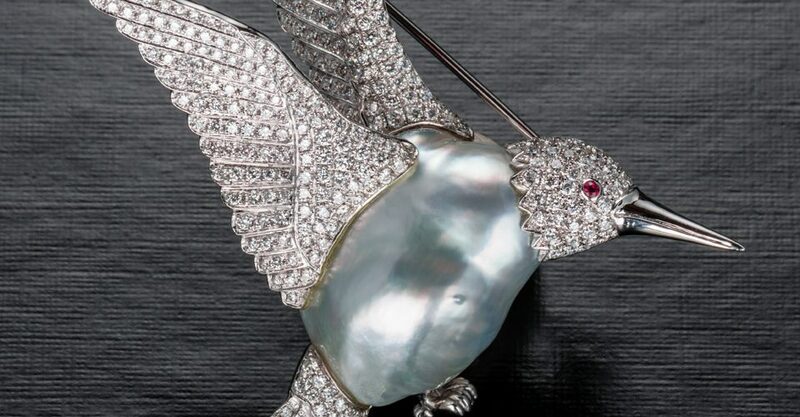 In December of 2011, Christie’s New York auctioned the 50.96 (ct) pearl mounted in a Cartier necklace for US$11.8 million. 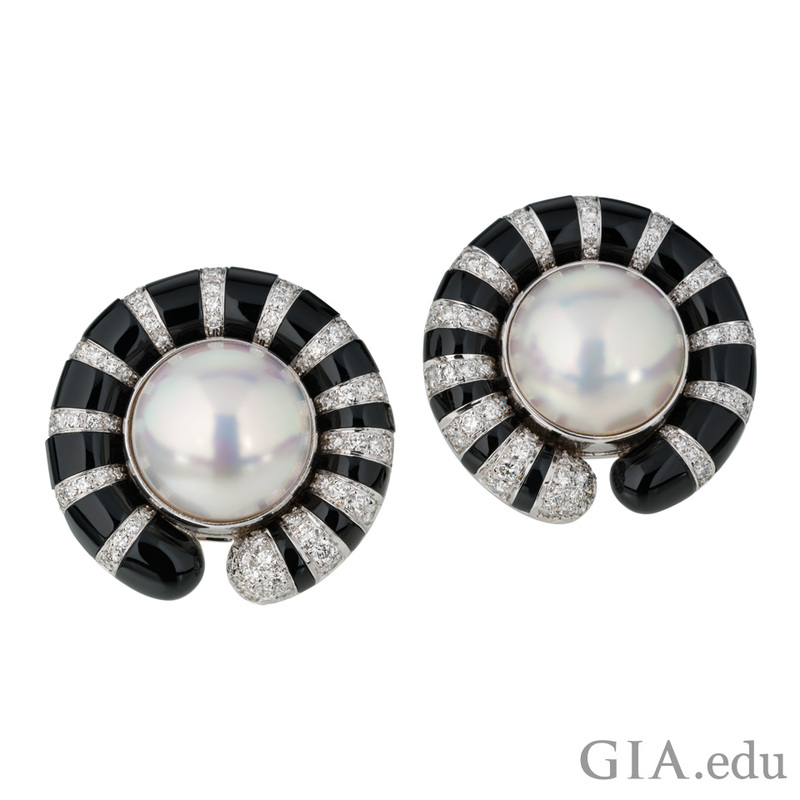 Although natural pearls are rare and out of reach for many, cultured pearls offer diversity, beauty, and affordability. Pearl is also the June birthstone, so your spouse will have many opportunities to wear your anniversary gift. 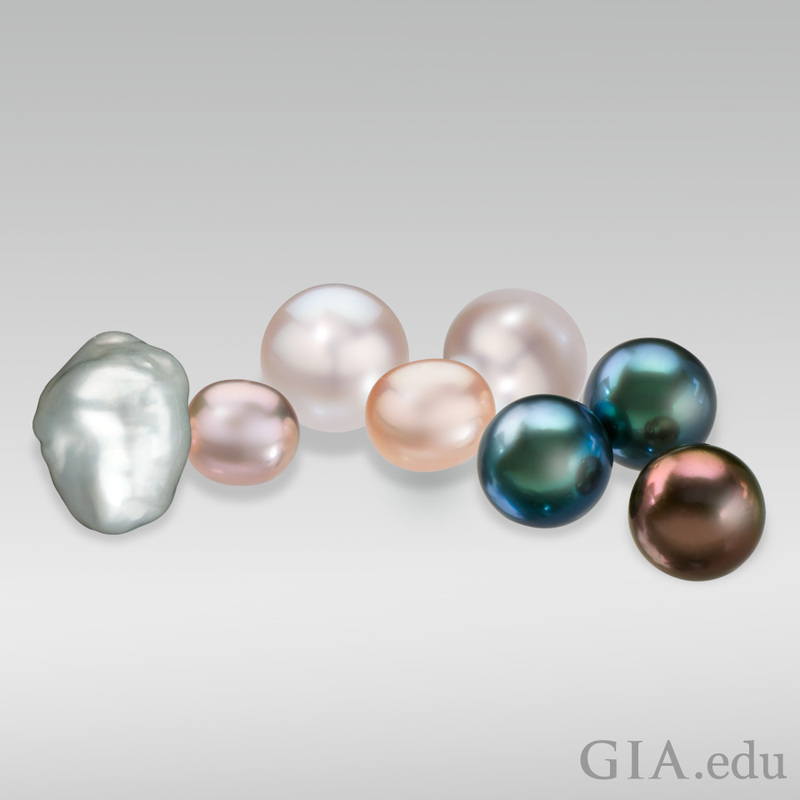 Before you begin shopping for pearls, learn about the seven value factors that determine pearl quality, and take our Pearl Buying Guide with you as you shop. A cloudless summer sky…the warm waters of the Mediterranean…the expanse of the heavens. 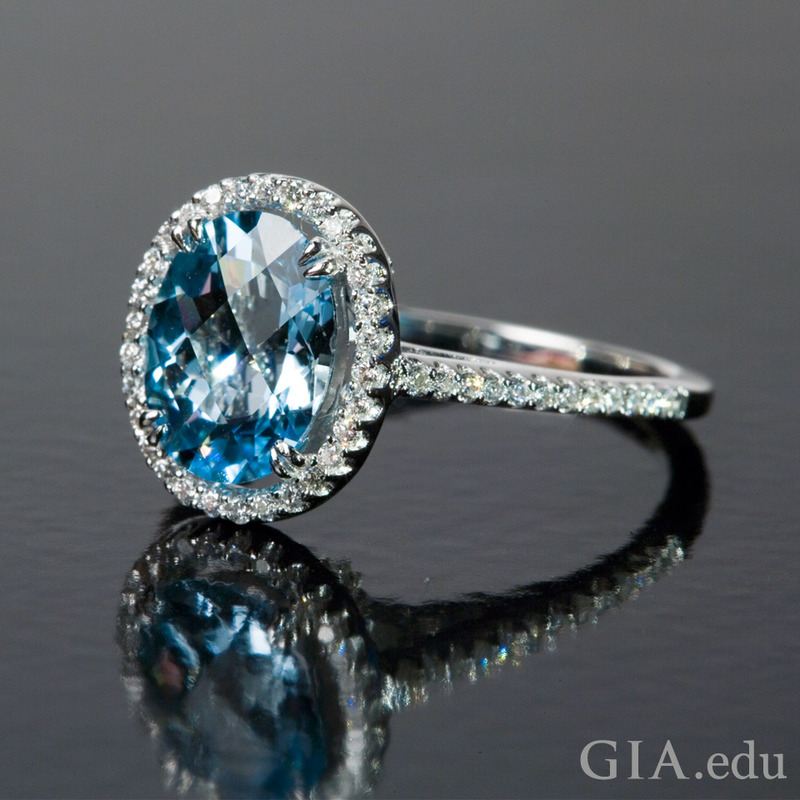 What do you see when you look at blue topaz? Photo: Terri Weimer/GIA. 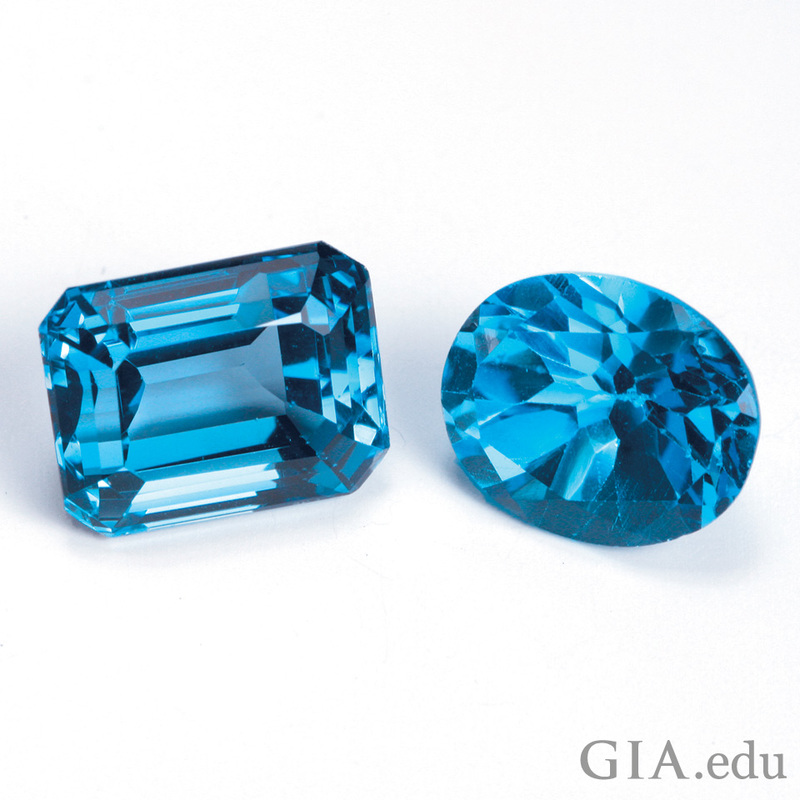 Topaz with a natural blue color is very rare in nature, so essentially all of the blue topaz used in jewelry is treated to induce its color. 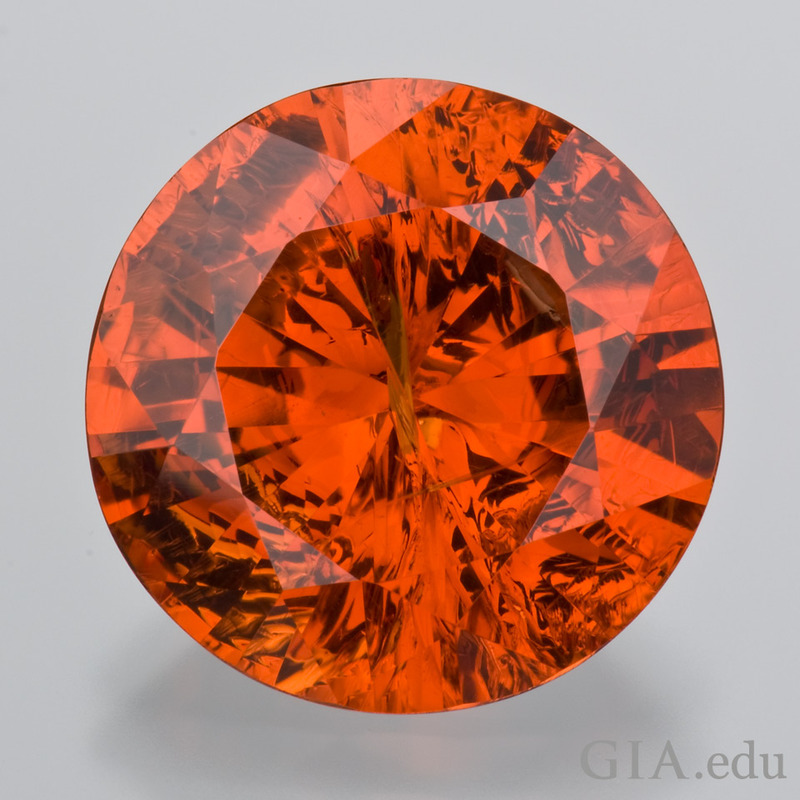 It is the result of a collaboration of Mother Nature’s artistry and man’s ingenuity: colorless topaz is exposed to radiation to produce a spellbinding result. Its placid blue color conjures images of a harmonious marriage. The Greeks believed that topaz gave strength, while Europeans during the Renaissance thought it could thwart magic spells and drive away angry thoughts. 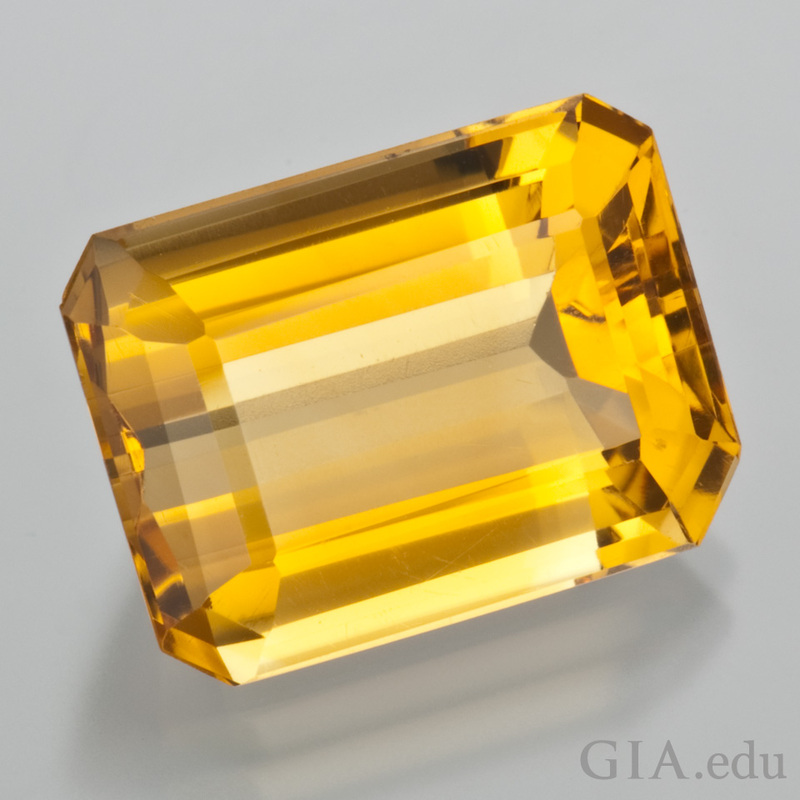 Today, some believe that topaz encourages prosperity. And if your spouse’s favorite color is something other than blue, you’ll be happy to know that topaz, which is also the November birthstone, comes in an array of beautiful colors. Not sure how to pick a topaz? Check out our Topaz Buying Guide. Sapphire is sure to charm recently married couples. 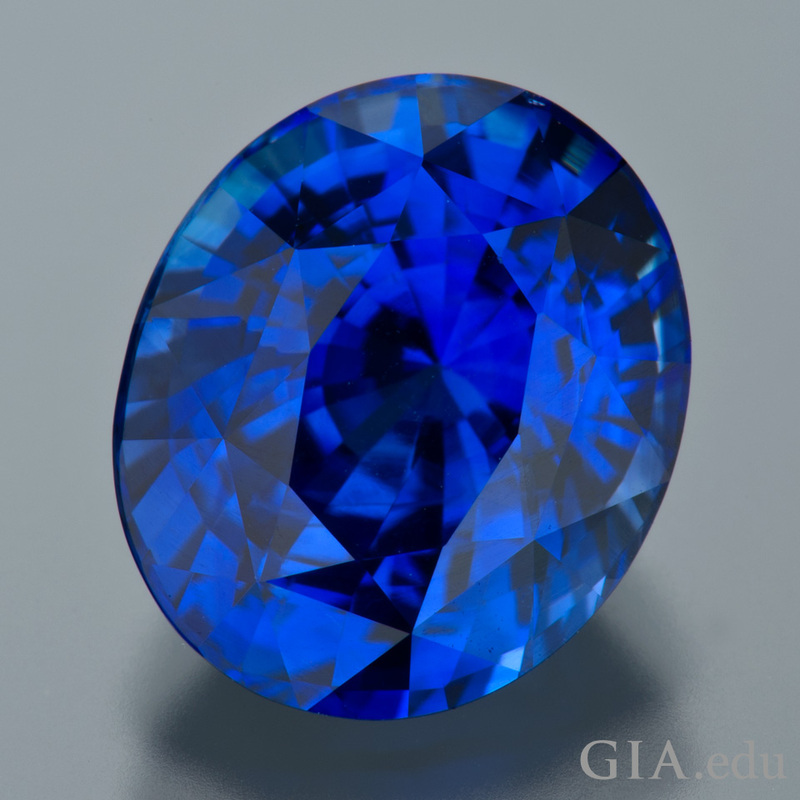 Most think of sapphire as blue, and our Sapphire Buying Guide explains the best blue to look for. 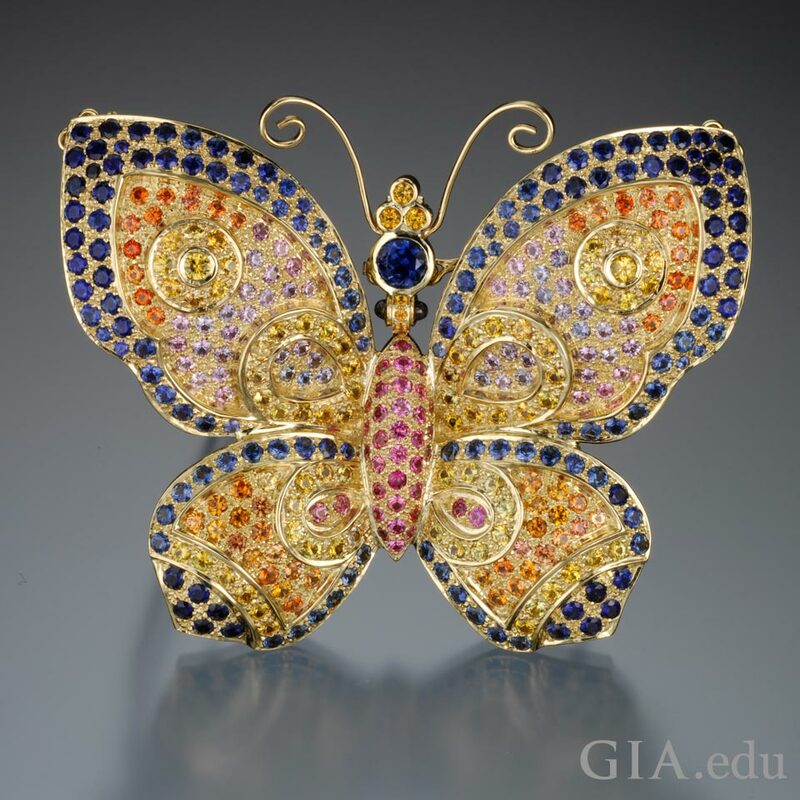 However, as a variety of the mineral corundum, sapphire comes in many colors – all except red. 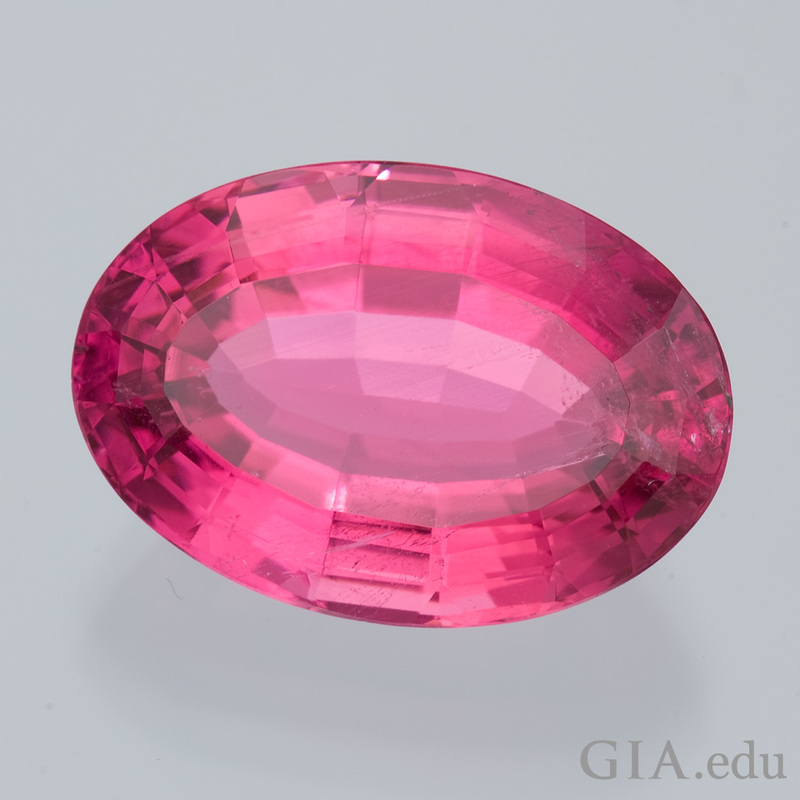 The red variety of corundum is ruby. Sapphire is rated 9 on the Mohs hardness scale and has excellent toughness, making it one of the most durable gems – a fitting symbol for a marriage destined to withstand time. Its lore makes it even more appropriate as an anniversary gem: Ancient Greek and Roman kings and queens believed the gem protected them from harm. The clergy of the Middle Ages thought it symbolized heaven, while the faithful thought it attracted blessings. Amethyst is famed for its rich purple color, so beautifully captured in this 22.65 ct round stone. Photo: Robert Weldon/GIA. Courtesy: Anil Gupta, Kris Gem International, Inc.
Give your spouse an amethyst for your sixth wedding anniversary and you’ll celebrate like it’s Valentine’s Day all year long. St. Valentine, the patron saint of romantic love, supposedly wore an amethyst ring carved with the image of Cupid. 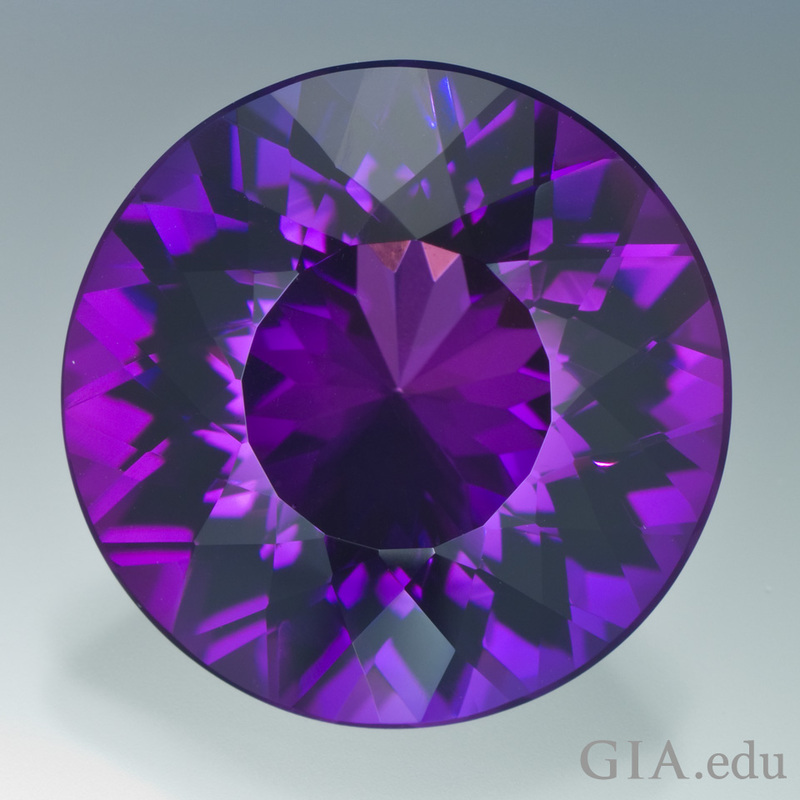 The gem, which is also the February birthstone, ranges from a bluish purple to purple to reddish purple. Amethyst holds another charm: purple is the color associated with royalty, and is the appropriate choice for the queen (or king) of your heart. It’s found in designer and mass-market jewelry, so there is an option for every budget. Our Amethyst Buying Guide can help you find the perfect one. By your seventh year of marriage, you know whether your spouse appreciates a practical gift or a more sentimental one. With onyx as the seventh anniversary gemstone, you’re covered on both fronts. Onyx, along with agate and jasper, is a variety of chalcedony (pronounced “kal-sehd-nee”) which is microcrystalline or cryptocrystalline quartz. Onyx is composed of straight parallel layers of different colors. 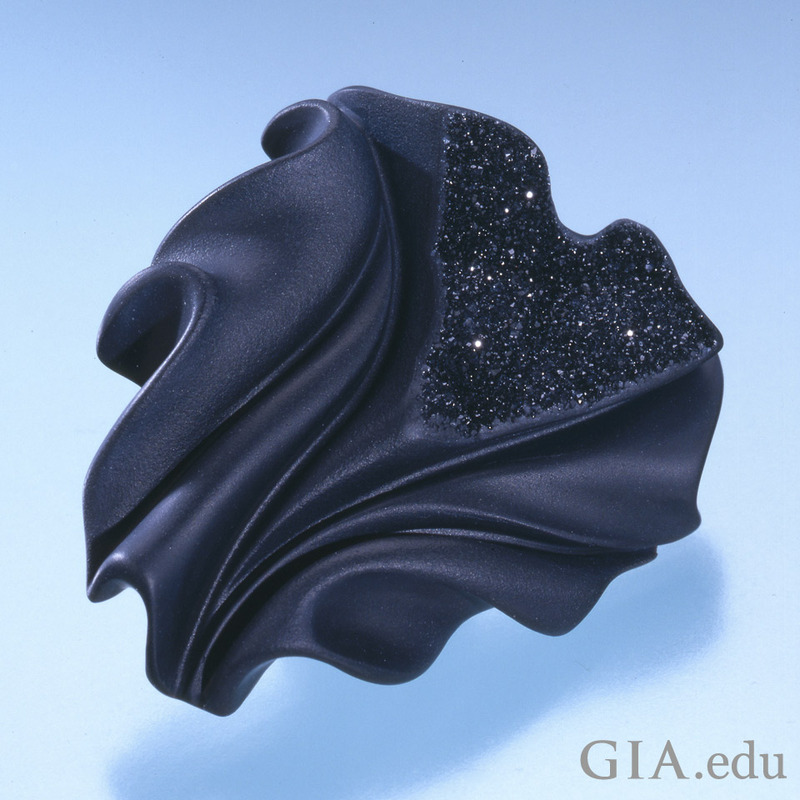 What many call “black onyx” is actually dyed black chalcedony. Natural black chalcedony is rare, so virtually all black chalcedony is treated. Chalcedony has been found in jewelry as far back as Mesopotamia, one of the cradles of civilization. Ranking 7 on the Mohs hardness scale, Onyx has good toughness, which means it is both practical and beautiful for everyday wear. Onyx is also very useful – according to ancient lore, that is. Ancient Greeks put it in amulets to protect sailors from drowning; a thirteenth century writer claimed it bestowed health, success in lawsuits and safe travels; and believers in the 1700s thought it kept phantoms and visions at bay. So send your spouse a message of love with a beautiful onyx carving or piece of jewelry! Does the color pink capture the spirit of your marriage? How about yellow? Red? Blue? Green? You don’t have to decide with tourmaline – the chameleon of wedding anniversary gemstones. 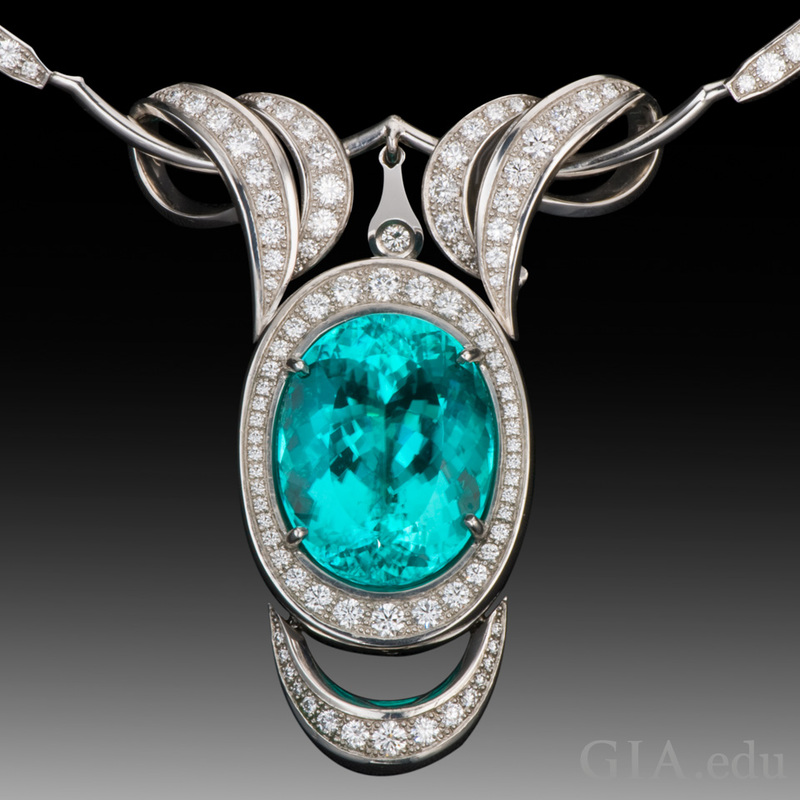 First discovered in Brazil in the 1500s by a Spanish conquistador, tourmaline was mistakenly identified as emerald for three centuries – until scientists discovered otherwise. 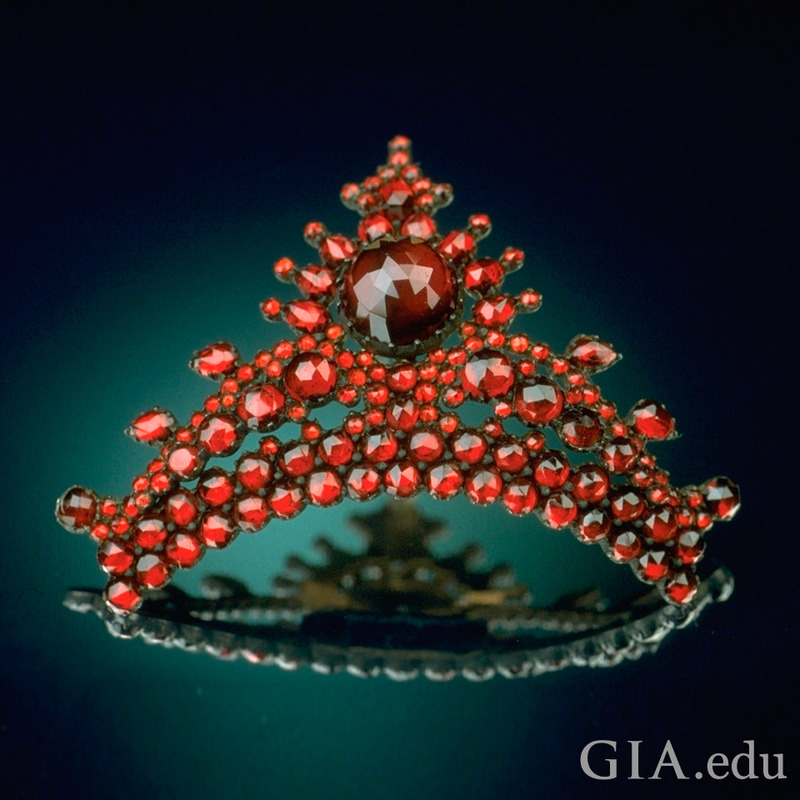 Chinese Dowager Empress Tz’u Hsi (1835 – 1908) had a passion for tourmaline and much of the tourmaline found in the mines in San Diego, California was supplied to her and her court. In the 1980s, a new find of copper bearing elbaite tourmaline from Paraíba, Brazil came on to the market. 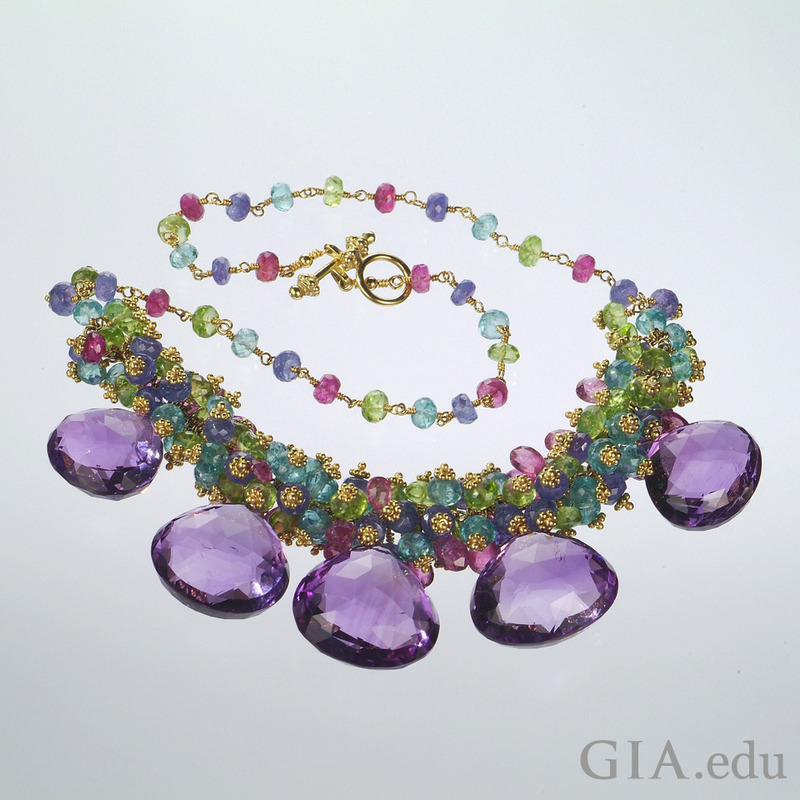 Its vivid colors of blue, green and purple ignited new interest in the gem. As the October birthstone, tourmaline is always in fashion. And if you can’t decide which tourmaline is right for you, our Tourmaline Buying Guide can help. True love is hard to find – and so is lapis lazuli. The premier source is in Badakshan, a province in present-day Afghanistan. Buried in barren mountains that soar to 17,000 feet, lapis lazuli rough is unearthed and shipped around the world. The lapis mines producing today were mined as far back as 700 BCE, and are the world’s oldest known commercial gemstone sources. 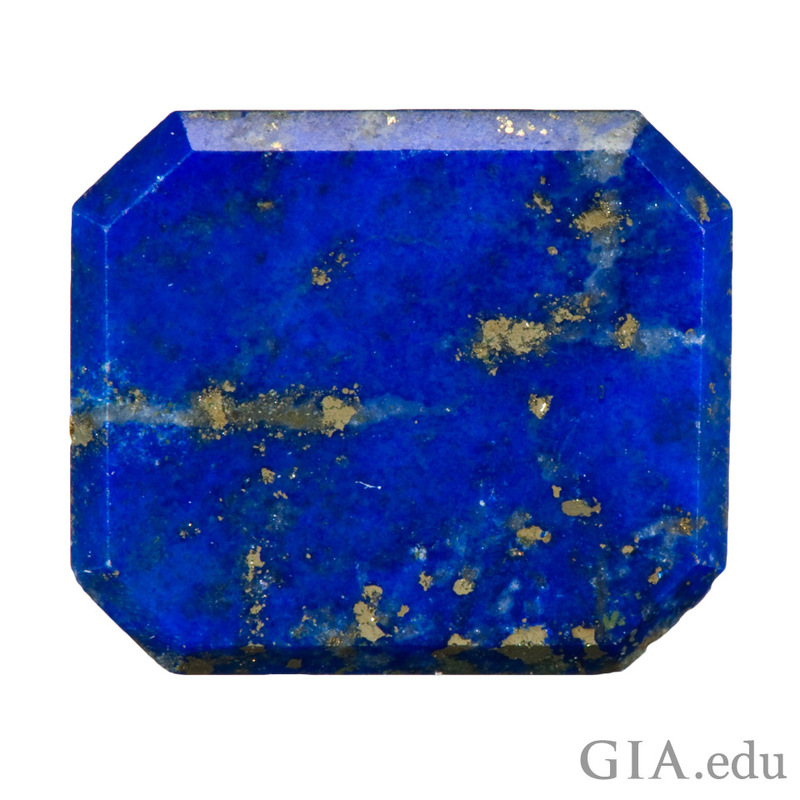 Treasured by ancient civilizations, lapis lazuli is an aggregate of several minerals. Color is an important quality factor for lapis lazuli. The most prized lapis contains little or no pyrite, no calcite and is an intense, uniform, medium-dark, slightly violetish blue. Finding a lapis lazuli anniversary gift should be easy: this beautiful gem is used in jewelry and carved into beads, game boards, bowls, hair combs, and amulets. 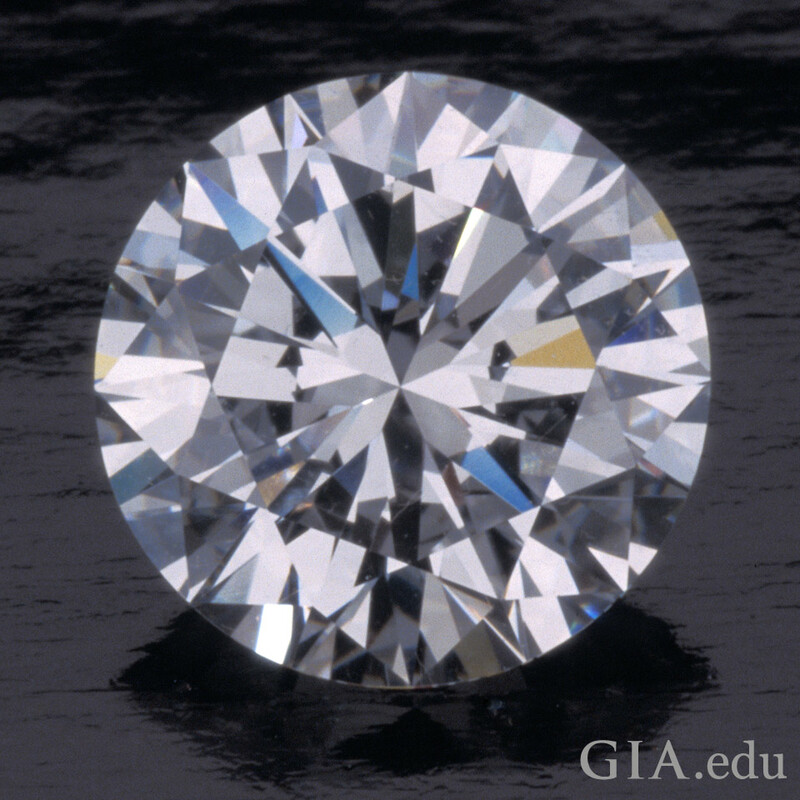 A picture of near perfection: this 2.78 ct round brilliant diamond is D color and is Internally Flawless. Photo: Robert Weldon/GIA. Courtesy: Rogel & Co. Inc.
Congratulations! You’ve reached a major milestone in married life and diamond is a symbolically suitable gem to celebrate a wedding anniversary. Diamond is the hardest mineral on earth, so it mirrors the bonds of your love. 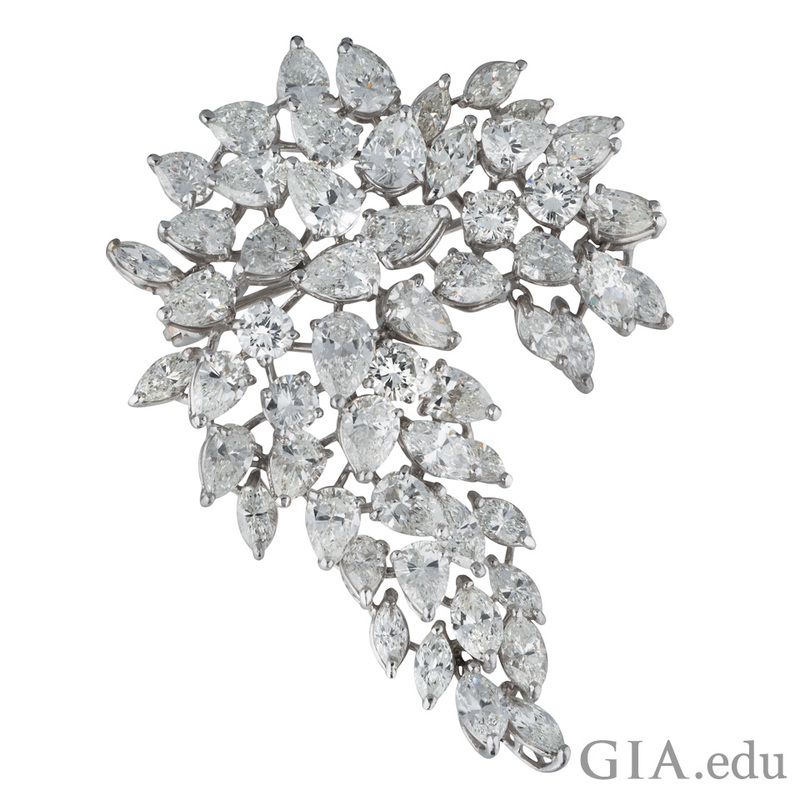 It’s rare like true love – the average yield in most diamond mines is one part diamond to one million parts host rock. And it forms under high temperature and pressure, which is part of the inevitable joys and challenges of married life. If you’re on the hunt for a tenth wedding anniversary gift, our tips on buying diamond jewelry will help. Or better yet, why not recreate your marriage proposal, and offer your beloved an updated engagement ring? Whatever you choose, diamonds inevitably score a 10 on the gift-giving Richter Scale! A happy marriage is one of the most beautiful treasures in life. As the years pass, you can celebrate your union with gifts that outlast the passing of time. And jewelry set with the perfect wedding anniversary gemstone is the perfect choice for these special occasions! Looking for more jewelry gift ideas? Your partner’s zodiac sign can offer ample inspiration.